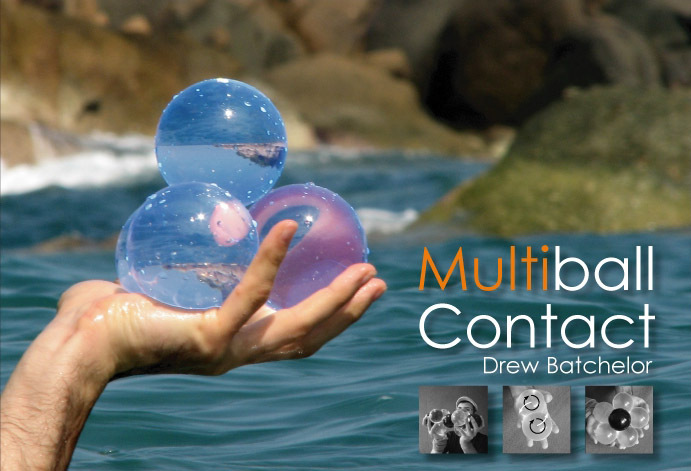 The essential guide to Multiball Contact, more than you ever dreamed that you wanted to know about Multiball Contact, with 3 to 11 balls… and then some. Inspirational chapters reveal the secrets of the best of multi-ball: With chapters focusing on 3 balls, 4 balls, 2 chapters of Snakes, 5 balls, 6 balls, 7 ball and 8 balls, but unlike most contact, this guide doesn’t stop there. Four more inspirational chapters will take you on to 9 balls, 10 balls and 11 ball and finally, there’s one last chapter for people who like to play with small balls. Enough to keep anyone busy for years! There isn’t a Multiball manipulator on the planet who wouldn’t gain a great deal from reading this book.